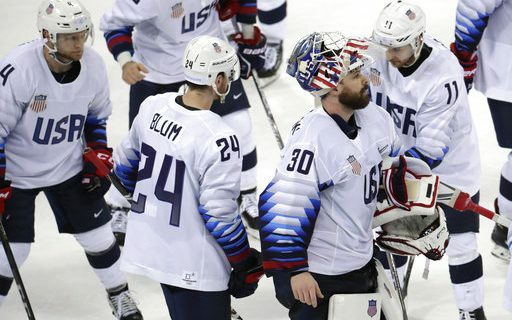 The non-NHL stars staffed USA Olympic hockey team has a lot to overcome to win a medal in Pyeonghang. But sports comedian Jeff Wozer has also discovered that they may have to deal with some referees who are biased against the USA. Here are the top signs that Team USA’s games are being officiated by a biased referee. • Penalizes the US for too many Yankee imperialists on the ice. • Wept openly as a child when Rocky defeated the communist boxer, Ivan Drago. • He’s married to the fat lady who sings. • Can cash his Olympic referee paychecks at any North Korean M & T bank without proper ID. • Under the cloak of night launches bottle rockets towards US hockey team’s dorm room. • On disputed goals tells Americans to take it up with Judge Judy. • US players can’t exit the penalty box until they post bail. • Attended Kim Jong-un’s pancake breakfast fundraiser for the world’s first nuclear-powered Zamboni. Also read Jeff’s take on what surprises Buffalo native & Team USA women’s hockey player Emily Pfalzer is finding in South Korea.